Keep the worst of the winter weather off with this porous material, helps warm, protect and dry the ground prior to planting in spring. 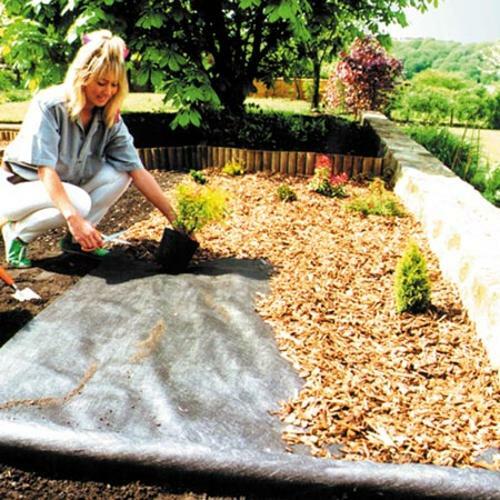 Porous heavy duty weed block ideal for use under pathways and gravel, as well as in the greenhouse or veg garden to suppress weeds, deter slugs and keep fruit clean. Has excellent water dispersion properties. Made from woven polypropylene and UV stabilised for long life. 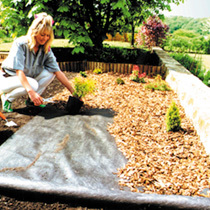 When covered by a form of mulch guaranteed for 40 years. Sizes Available: 2m x 10m, 2m x 25m, 2m x 50m, 4m x 10m, 4m x 25m.